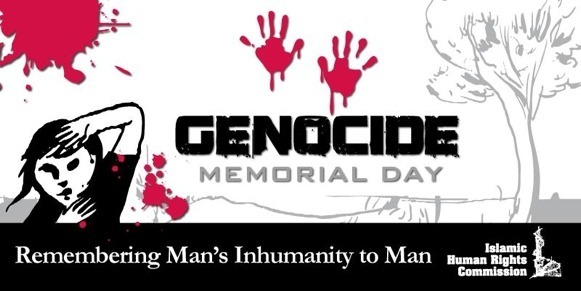 Genocide Memorial Day (GMD) is a day focused on remembering man’s inhumanity to man. It takes place on the third Sunday of January each year. For the GMD project, the act of remembrance is not limited by the background of either the victims or the perpetrators of any of the genocides. It aims to raise awareness of genocide in order for new generations to understand the causes and recognise the warning signs of such atrocities. Imam Achmad Cassiem’s inaugural lecture for GMD in 2010 outlines the Eight Steps to Genocide. Watch his speech here (approx. 40 mins) or read the transcript here. IHRC hopes this project will help develop a culture where the burden of responsibility of the verse, “whoever kills a soul (…) it is as if he had slain mankind entirely” (Quran 5:32) becomes a norm for all humanity to internalise rather than just an ideal for theoretical discussion.The philosophy of this project by the Islamic Human Rights Commission (IHRC) rejects the notion that there is a hierarchy of victim depending on their background. By highlighting the people and power structures who have perpetrated genocides or genocidal acts, we want to hold the perpetrators to account within the framework of GMD, as well as remember the victims of these genocides and genocidal acts. 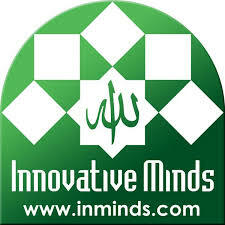 While the idea of this commemoration is firmly rooted in Islamic thinking, this commemoration is an inclusive event which encourages people of all faiths or none from all parts of the world to take part. The IHRC list of genocides is not exhaustive, and resources permitting we intend to continue to add to this list depending on where our research takes us. IHRC hopes this project will help develop a culture where the burden of responsibility of the verse, “whoever kills a soul (…) it is as if he had slain mankind entirely” (Quran 5:32) becomes a norm for all humanity to internalise rather than just an ideal for theoretical discussion. There are many ways to get involved with the GMD project. Please look through this mini-site for details of resources for schools, universities, activists and the media or contact us on gmd@ihrc.org. Events have taken place in London, Amsterdam, Paris, Brussels, Kuala Lumpur and Jerusalem.